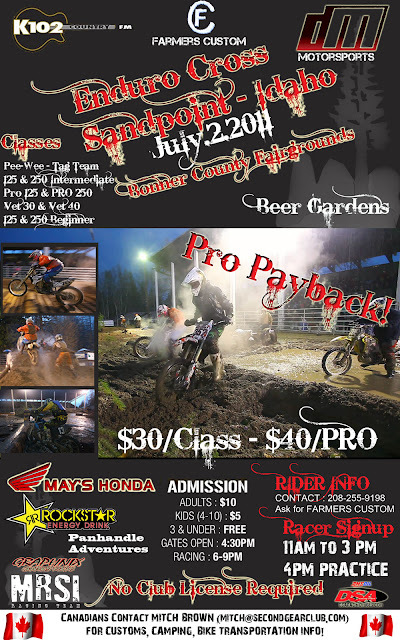 Well those in Idaho are up to it again, But this time it will be MUCH different racing than the race that made the Daytona 2008 Supercross seem like childs play. 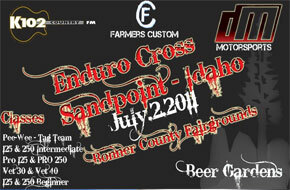 Come down to Idaho for an Endurcross that will get you hooked and wanting more. Entry is just $30 a Class or $40 for pro with Cash Payout. Beer Gardens, Food & amazing fans. Racing starts at 6PM, and practice is around 4PM!